1. First, consider the age of your water heater. If you don’t remember when it was bought, you can determine the age by checking the serial number on the sticker from the manufacturer that is located on the upper region of the water heater. That serial number shows the date of manufacture, but the way the date is encrypted into the serial number is a bit different. As an example, if the serial number starts with D, D represents the month. D is the fourth letter of the alphabet, so it is representative of the fourth month of the year, which is April. If the serial number begins D08, it means the water heater was manufactured in April 2008. You can visit the website of the water heater’s manufacturer to learn more about how the serial number specifies when the appliance was made. 2. Check out the water. If your water is rusty or murky only from the hot water side of the faucet, your hot water heater might be rusting on the inside. When it rusts, it will start leaking. But, if your water pipes are galvanized, they could be rusty. To test your water heater and determine if it is the problem, you should drain a few buckets of hot water from the hot water heater. If the water is still coming out rusty by the time you reach the third bucket, then the water heater is most likely the culprit. 3. Listen for unusual noises or rumbling from your hot water heater. 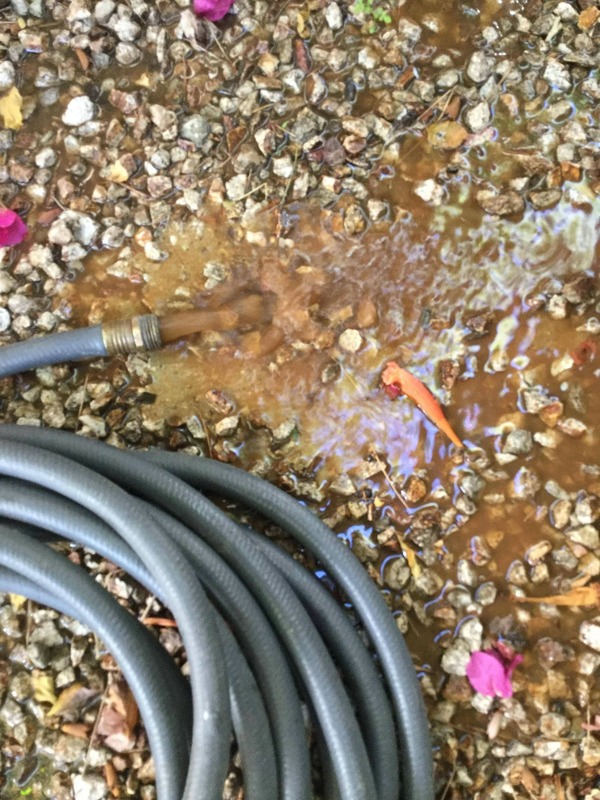 As the water heater gets older, sediment will form and build up near the tank bottom. As that sediment is reheated time and time again, it will start to harden. This will lead to a rumbling or banging sound from the water heater during the heating process. This is a definite sign that the water heater is nearing its end. Hardened sediment leads to less efficiency because more electricity or gas is needed to heat the water, and it means more damage because the additional time needed for heating will cause more wear on the water heater’s metal tank and increase the chances of it cracking and getting small holes in it. At George Brazil, we suggest getting your hot water heater flushed on a regular basis. 4. If you notice a lack of hot water. A water heater that is failing will either provide you with lukewarm water or insufficient hot water. A 40-gallon to 50-gallon water heater that is working properly shouldn’t have any problem of supplying two to three showers with hot water consecutively. If you start noticing problems with getting enough hot water for showers, then odds are your water heater is on the way out. 5. Also, watch for water around the water heater. If there is water or moisture around the water heater, that warns you of a leak or fractured tank. Before you go ahead and replace the water heater, check to make sure there aren’t leaks from tank connections or fittings. Also check to make sure there is not a bunch of rust around the pipes. This can be a sign of corrosion around the pipes. Check the temperature overflow pipe to make sure it is not leaking either. If the connections and fittings check out just fine and they are dry, the problem is the water heater and it needs to be replaced. 6. Consider how much you have paid to keep the water heater functioning and if the repairs are adding up. When a water heater gets older, it needs more parts to avoid leaks and to stay safe. Repairs can add up fast. 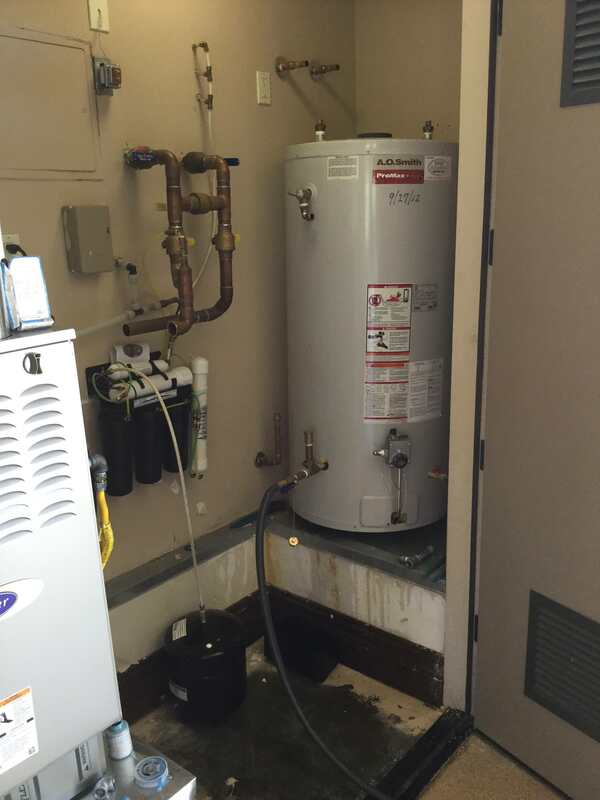 You should assess your past water heater repairs. If you haven’t kept a list, call your plumber for a detailed history of visits or check the service sticker on the water heater. 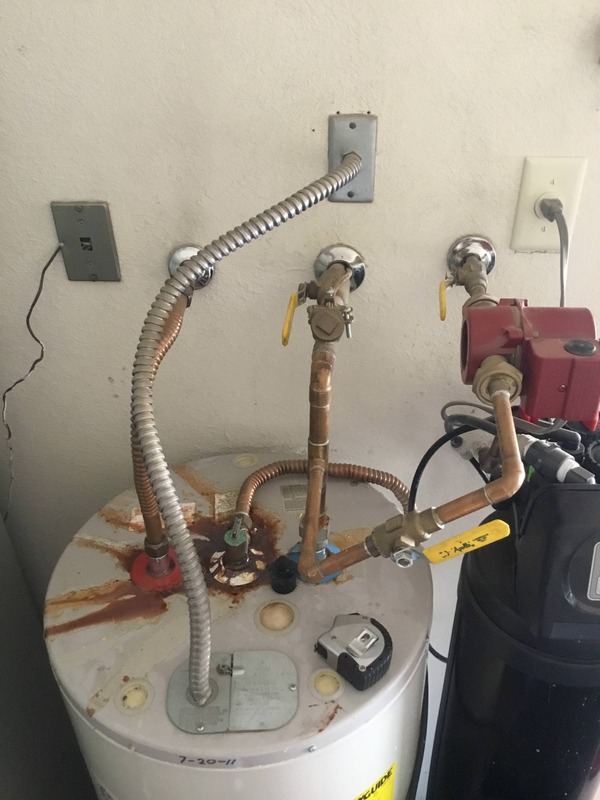 When repairs are adding up to cost you more than a new water heater, then it is time to bite the bullet and buy a new water heater. By regularly checking your water heater, and by paying close attention for any of these tell-tale signs, you can catch problems early. By replacing your water heater before it fails, you can save yourself time and trouble. After all, when the water heater fails it can be a real inconvenience and leave you waiting for a replacement and a plumber. These six signs will help you be alerted as to when your water heater is about to fail. If you need any help with your water heater, remember that George Brazil Plumbing and Electrical is a phone call away to help you out!